Inventor and patron of science Ferdinando II de’ Medici died on this day in 1670 in Florence. 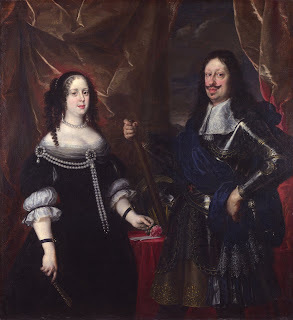 Like his grandmother, the dowager Grand Duchess Christina, Ferdinando II was a loyal friend to Galileo and he welcomed the scientist back to Florence after the prison sentence imposed on him for ‘vehement suspicion of heresy’ was commuted to house arrest. Ferdinando II was reputed to be obsessed with new technology and had hygrometers, barometers, thermometers and telescopes installed at his home in the Pitti Palace. He has also been credited with the invention of the sealed glass thermometer in 1654. 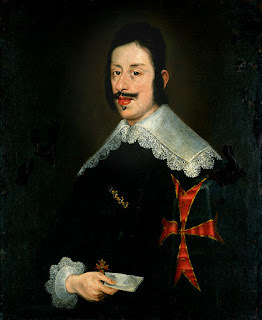 Ferdinando II was born in 1610, the eldest son of Cosimo II de’ Medici and Maria Maddalena of Austria. He became Grand Duke of Tuscany in 1621 when he was just 10 years old after the death of his father. His mother, Maddalena, and paternal grandmother, Christina, acted as joint regents for him. Christina is said to have been the power behind the throne until her death in 1636. Ferdinando II was patron and friend to Galileo, who dedicated his work, Dialogue Concerning the two Chief World Systems to him. This work led to Galileo’s second set of hearings before the Inquisition. 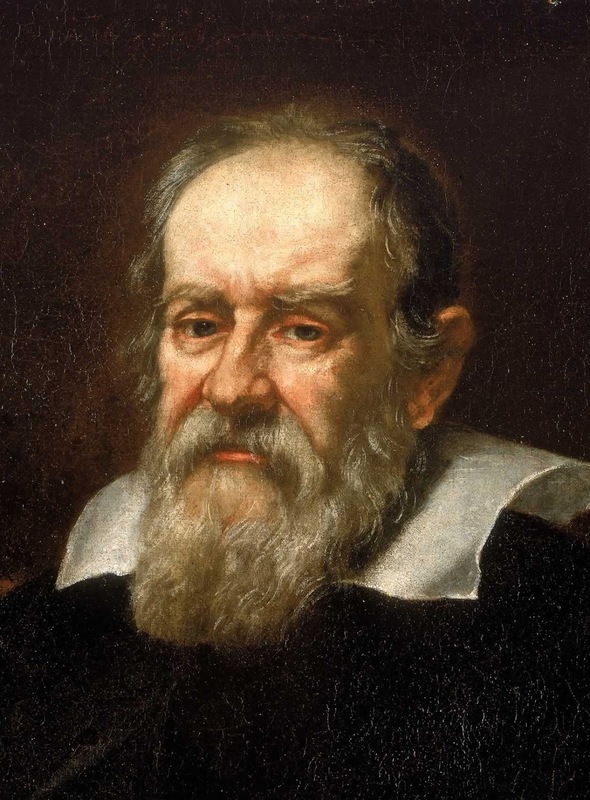 Ferdinando II kept Galileo safely in Florence until the Inquisitors threatened to bring him to Rome in chains if he would not come voluntarily. When plague swept through Florence in 1630 it killed 10 per cent of the population. Unlike other members of the Tuscan nobility, Ferdinando II and his brothers stayed in Florence to try to help the suffering people. To combat the economic depression, Ferdinando II instigated a public works programme. This included the building of an aqueduct and new public fountains as well as improvement to Palazzo Pitti and the Boboli Gardens. Architects and artists were also employed to develop the Cappella dei Principi at the Basilica di San Lorenzo. The Grand Duke married Vittoria della Rovere, the granddaughter of the Duke of Urbino, in 1633 and they had four sons, although only two lived to become adults. Influenced by Galileo, Ferdinando II invented the sealed-glass thermometer by sealing the glass lip of a tube containing coloured alcohol. Glass bubbles filled with air changed position as the temperature rose or fell. Marked off with 360 degrees it became known as a spirit thermometer or Florentine thermometer. 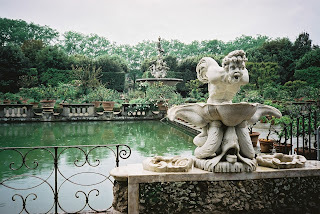 Ferdinando II also used a type of artificial incubator to hatch chicks in his greenhouses in the Boboli Gardens, which was regulated according to the temperature shown on a thermometer placed under the hen. Tuscany was victorious in a military conflict against the forces of Pope Urban VIII in 1643 but the Treasury was nearly empty after the mercenaries had been paid and interest rates had to be lowered. Ferdinando II died in the Pitti Palace on May 23, 1670 of apoplexy and dropsy and was interred in the Basilica di San Lorenzo. The Pitti Palace - Palazzo Pitti - in Florence, where Ferdinando II was born and died, was originally built for the banker Luca Pitti in 1457 to try to outshine the Medici family. They bought it from his bankrupt heirs and made it their main residence in 1550. Today visitors can look round the richly decorated rooms and see treasures from the Medici collections. The beautiful Boboli Gardens behind the palace are 16th century formal Italian gardens filled with statues and fountains. The Basilica di San Lorenzo is one of the largest churches in Florence, situated in the middle of the market district in Piazza di San Lorenzo. It is the burial place of the principal members of the Medici family. Brunelleschi was commissioned to design a new building in 1419 to replace the original 11th century Romanesque church on the site but the new church was not completed until after his death. It is considered one of the greatest examples of Renaissance architecture. Ferdinando II is interred in the Cappella dei Principi, which is surmounted by a tall dome, along with five other Grand Dukes of Tuscany.